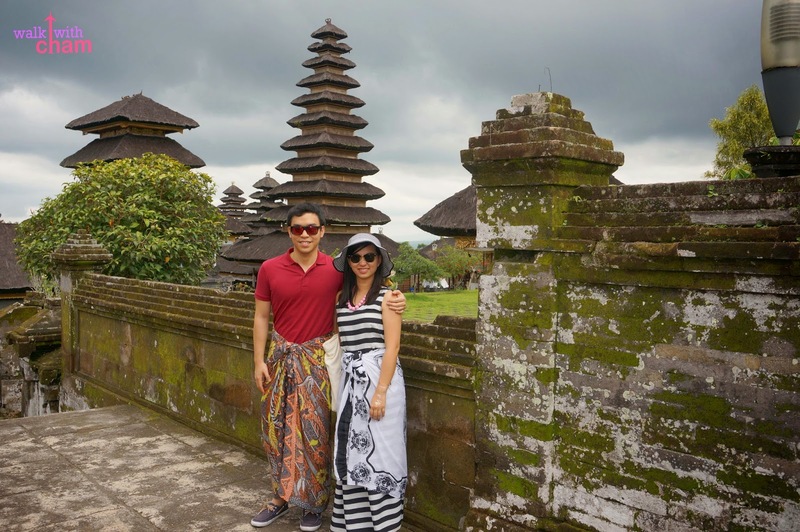 If you are going to Bali via Cebu Pacific expect your first day to be very tiring since its only flight is scheduled at 4:00 am (arrival is at 8:00 am). Believe me, my sister, her husband, mama, papa and kuya [who arrived there a week earlier] slept the whole day on their first day because of lack of sleep. 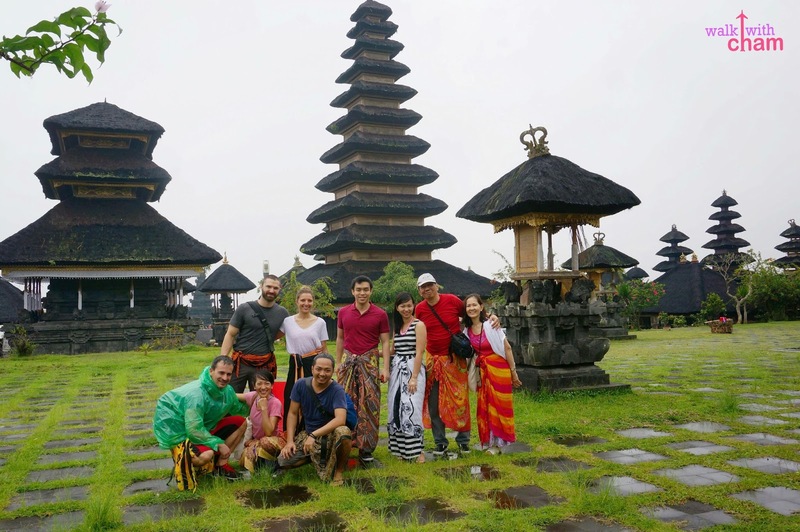 But since Mike and I wanted to maximize our stay in Bali (we only had 3 full days for this trip) we decided to go on a tour on our first day and visiting the Besakih Temple was our first agenda. Wonder why? 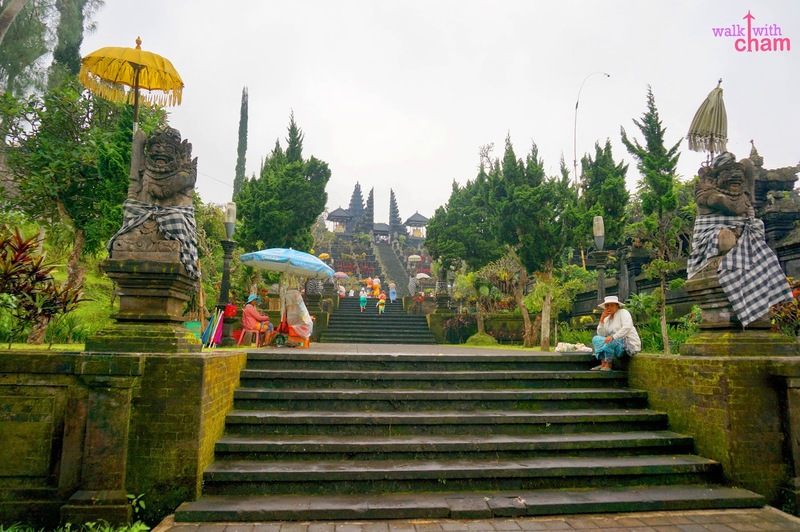 Besakih Temple known as Bali's Mother Temple is the biggest and holiest of the island's Hindu temple. 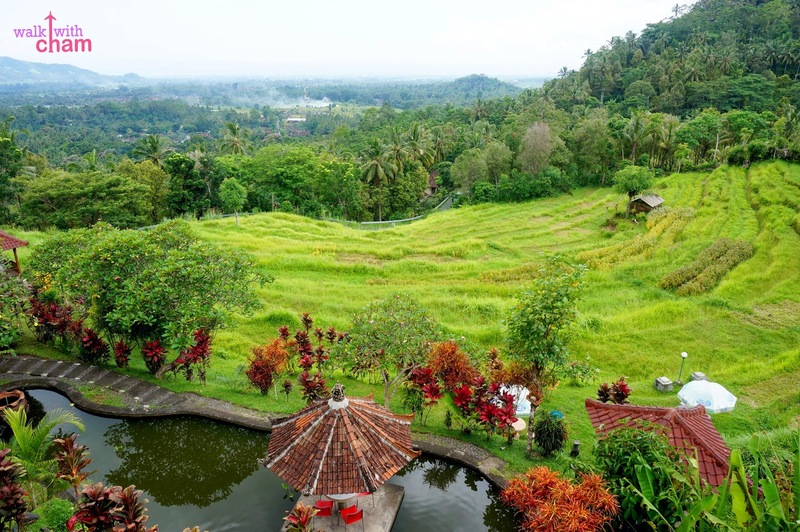 Perched 1,000 meters high on the slopes of Mount Agung, Besakih Temple offers a magnificent overlooking view of nature- rice paddies, mountain & hills. 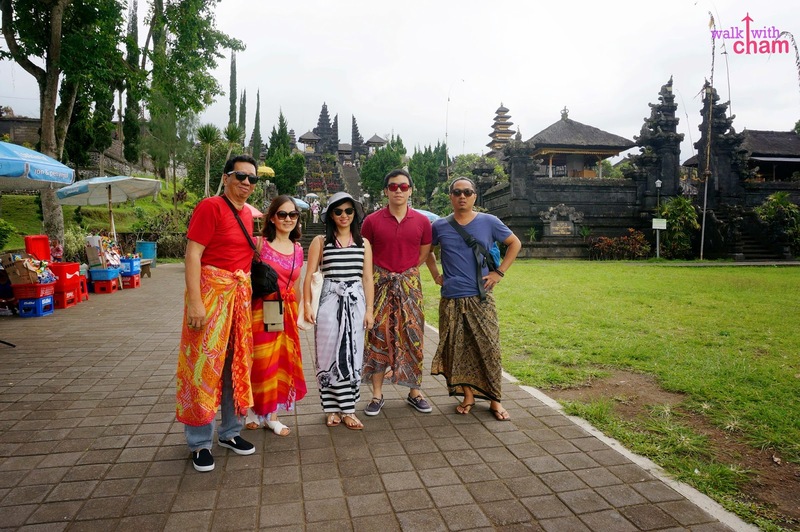 Because all Hindu temples are considered sacred, anyone who enters the temple including tourists are required to wear sarong. 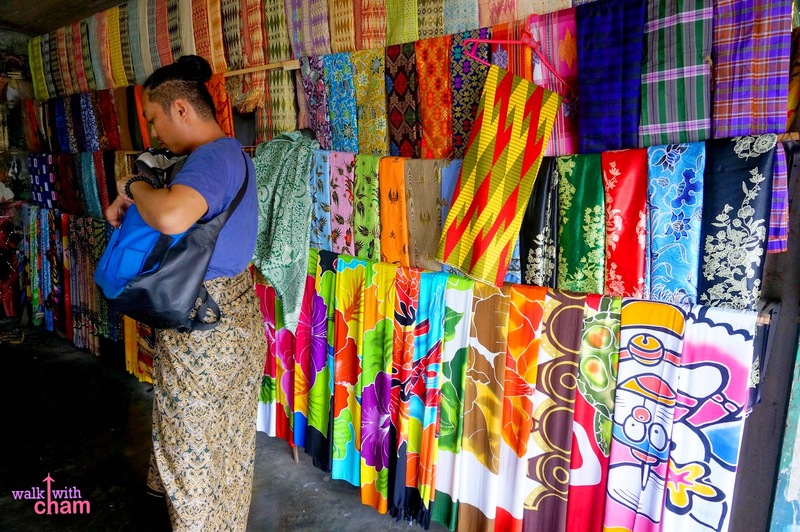 So the moment we stepped out of the van we saw a lane of stores selling sarongs of different kinds, styles, colors and prices-good money making strategy. 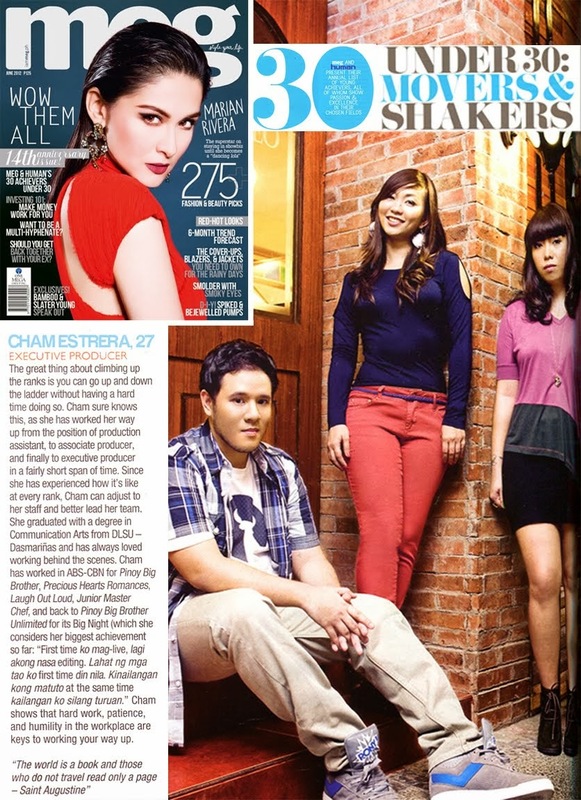 I got mine for RP 25,000 (P90), always remember to haggle! 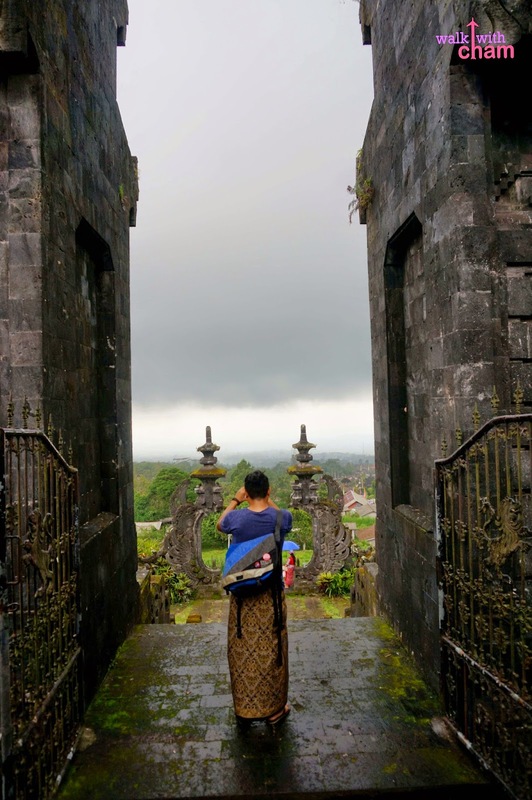 Before entering, local officials at the tourist information area asked for a mandatory 'donation' for tour guide fee, a separate fee from the RP 15,000 (P55) entrance fee. They started showing the record book of all the tourists who donated [or who were fooled] and convinced us that we can pay any amount but take note- with a minimum fee of RP 100,000 but because we didn't want to pay (and we all knew it was just a rip off) we argued for a lesser amount and gave them RP 50,000 (P175) each for a tour guide (we later found out that other tourists ignored the fee even if the locals were demanding it by force). Oh well! At least we had an instant photographer of the name G.D.
We tried to forget the incident and instead appreciated the well-known temple Bali locals are proud of. 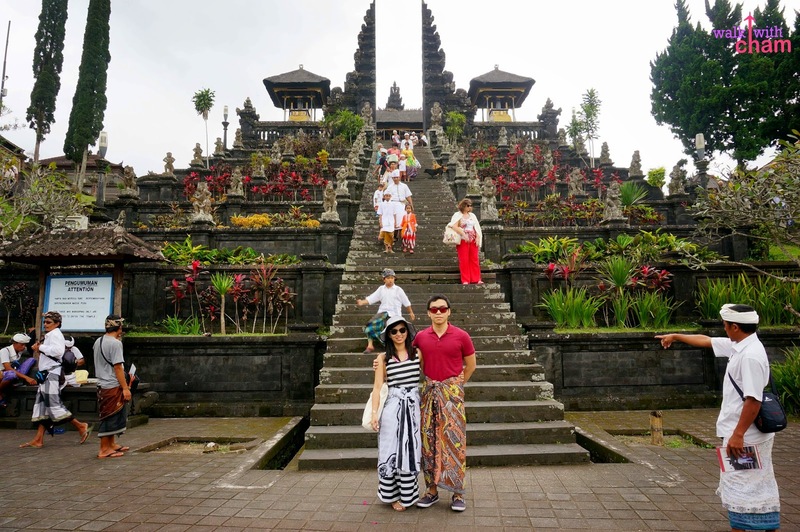 Upon entering we were greeted by two Balinese deities wearing [if I'm not mistaken] sarongs as well. 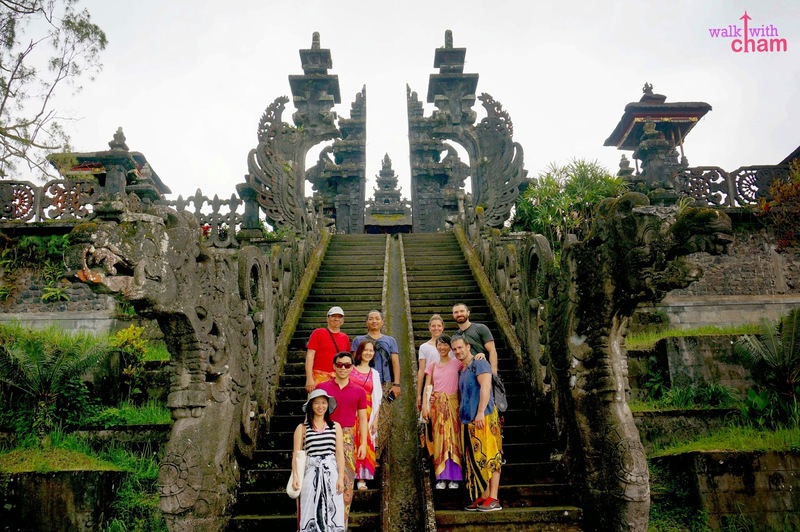 Besakih Temple is a special pilgrimage to the Balinese because of its high location giving it a mystical quality. 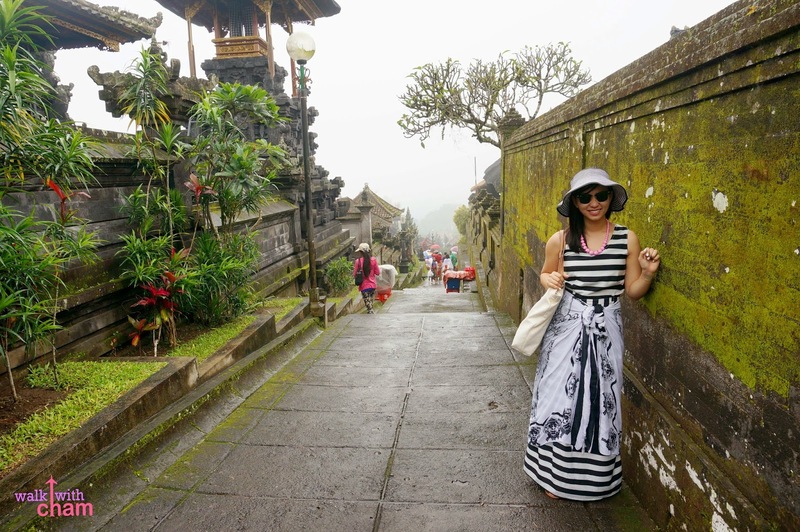 We encountered many stairs leading up to the sacred mountain and temples. As we climbed higher, we ascended to a number of courtyards. 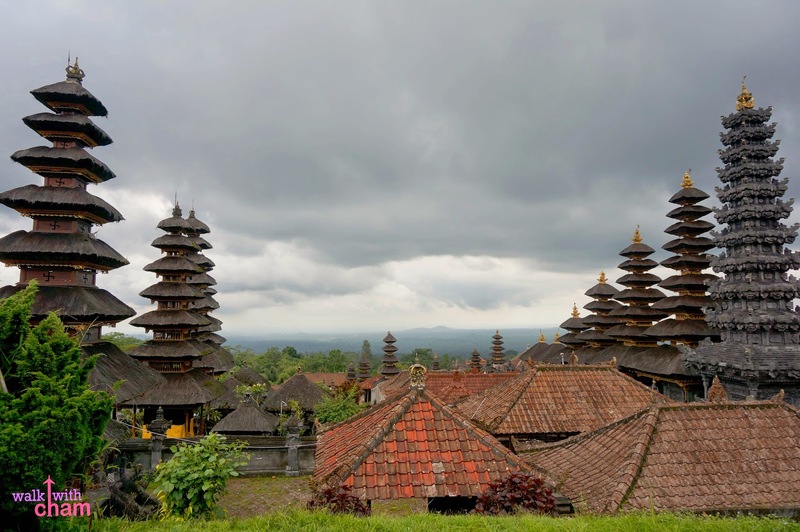 Besakih is a complex made up of to 22 temples, the only temple where a Hindu of any caste can worship. It is surrounded by three main temples dedicated to Shiva, Brahma and Vishnu belonging to different regencies and caste groups. Many of the inner courtyards are closed to public as they're reserved for pilgrims. Instead, our guide led us to different spots with a good view of the temples. Having a guide has its perks too [well, aside for being our photographer] we were allowed to enter other courtyards that were prohibited from tourists. 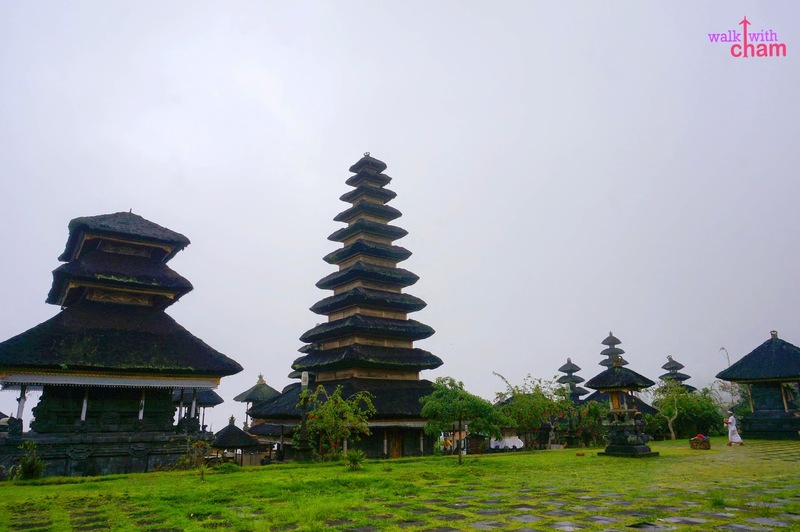 At the very top of the complex, a main structure which is called Pura Penataran Agung is located. In Hindu temples the higher the structure, the more sacred it is. During this time, it started raining and immediately local vendors came running asking us to rent their umbrellas- another good money making strategy. Pura Penataran Agung is the main sanctuary. It has a symbolic center which is called lotus throne or padmasana which is the ritual focus of the entire complex. A ceremony had just ended when we went there. 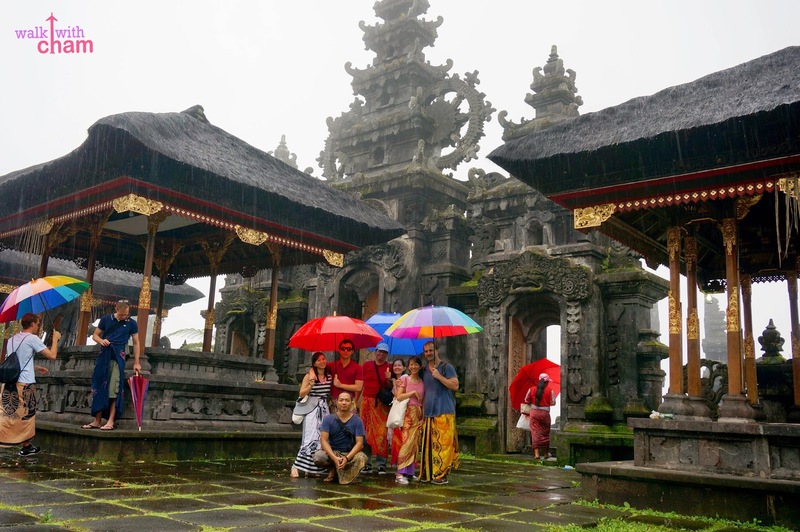 By the time we reached the Pura Penataran Agung it poured really hard. Thanks to our guide he showed us a shaded place where we can rest. This place was actually prohibited from tourists but because G.D was with us, we were allowed to enter. The view and experience could have been better if it didn't rain. To tell you honestly we were quite disappointed with what we saw. The three hour travel [one way] was not worth it. 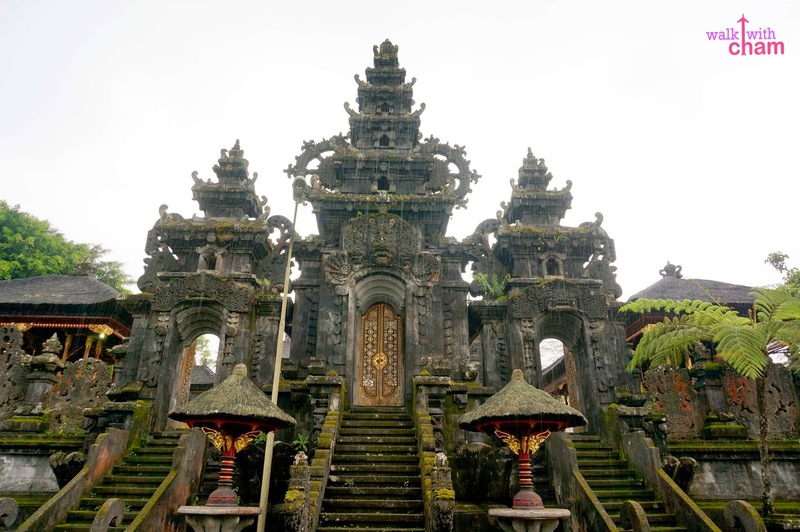 Besakih Temple is not as majestic as other temples I've been to. There were no oooohs and aaaaahs like some of the historical landmarks I've seen. 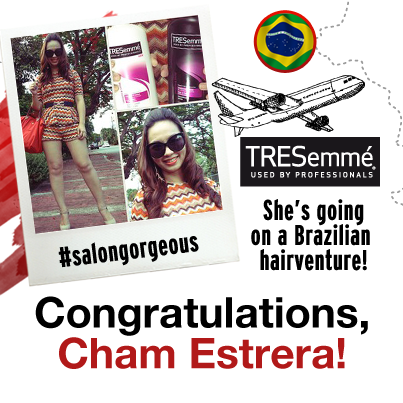 Plus the money making strategy totally blew the experience away. 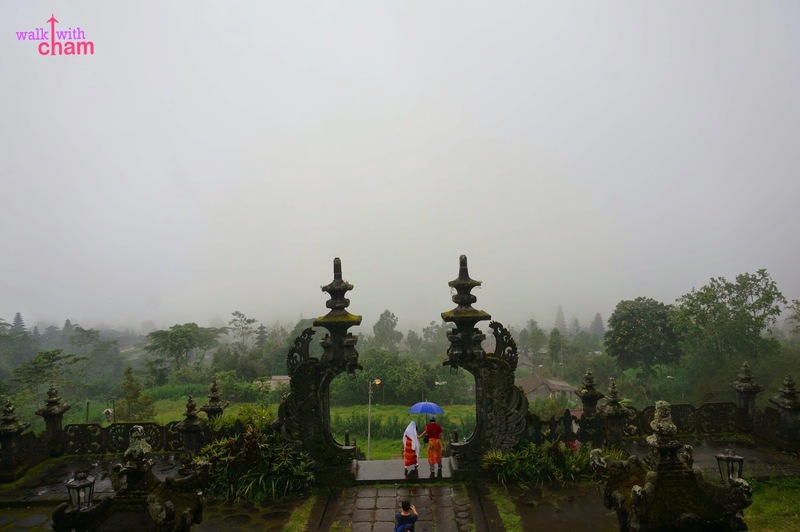 But of course if you want to learn more of Bali's culture and religion Besakih Temple might be perfect for you, just don't go there during rainy season! 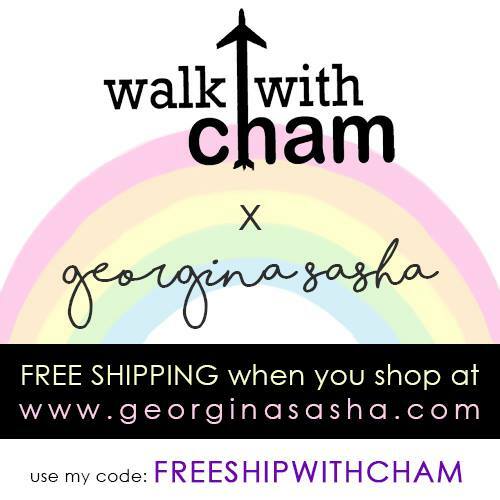 Walk with Cham this 2015!